The R package ‘FishResp’ and its graphical implementation will be presented today (23.04.2017) at the conference “Experimental Biology 2017” in Chicago. 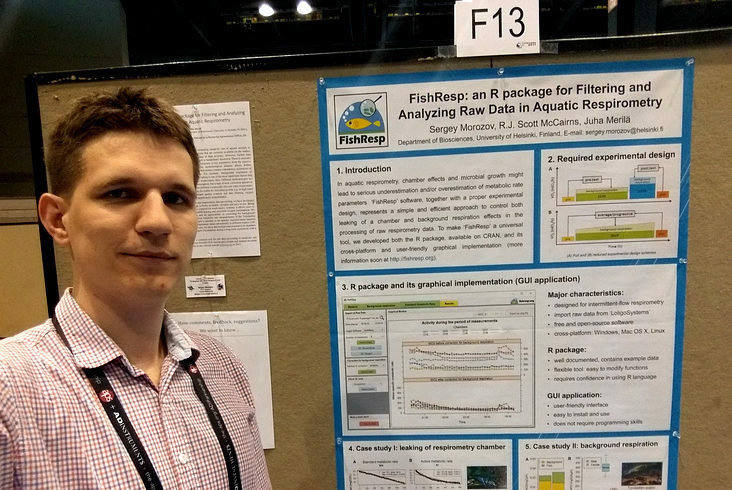 Title of the abstract: “FishResp: an R package for Filtering and Analyzing Raw Data in Aquatic Respirometry“. • the oral presentation will be at 16.00 in hall W192A.